Nowadays London is well-known for its immense variety of private members clubs, restaurants, bars and wine shops. As I continue my journey through many of them, I’ve recently come across a place with an intriguing name “M”. Short on letters it is definitely not short on ambition: M offers the unusual idea of combining it all under one roof. Once I heard that, I knew I had to check it out. 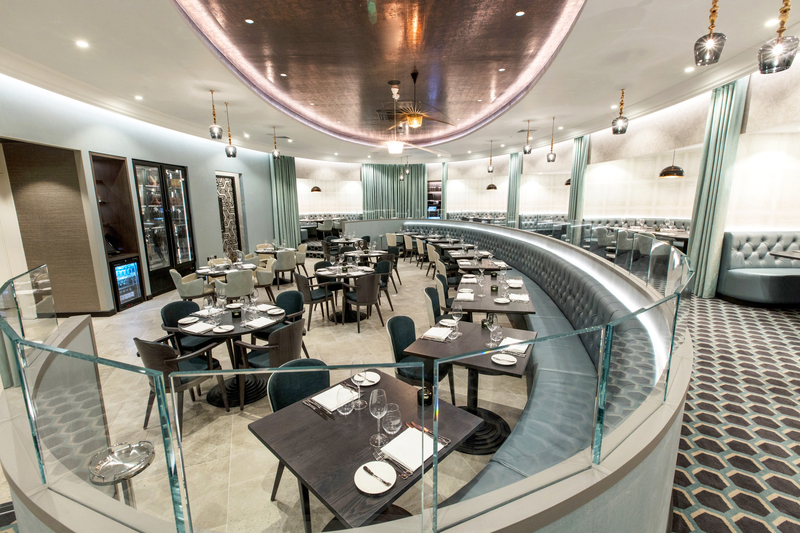 The mastermind behind M is Martin Williams, the former managing director of Gaucho. 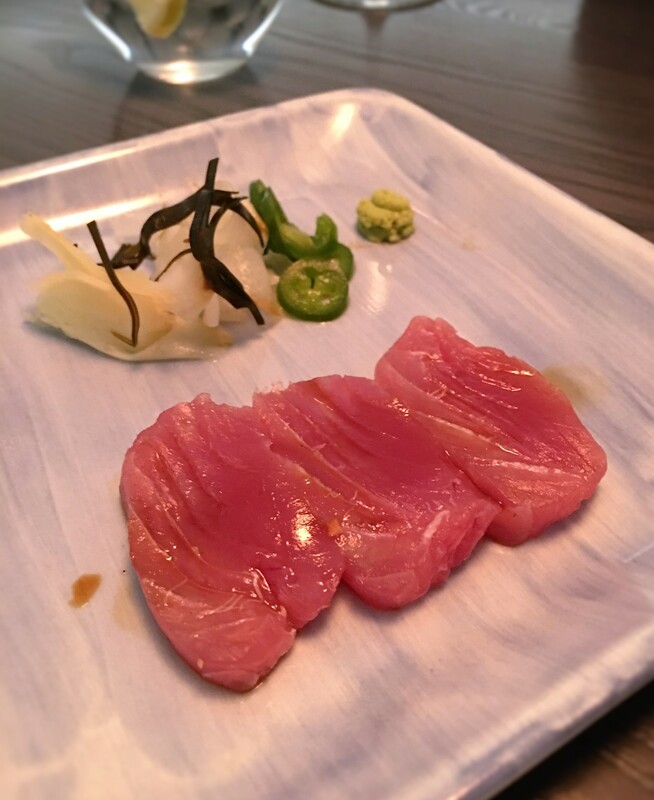 He opened the first venue in Threadneedle Street back in December 2014 and M quickly ascended to the culinary elite by winning both ‘Best New Restaurant’ & ‘Sommelier of the year’ in the Harpers Awards 2015. The second venue on Victoria Street followed about a year later and is the focus of this post. 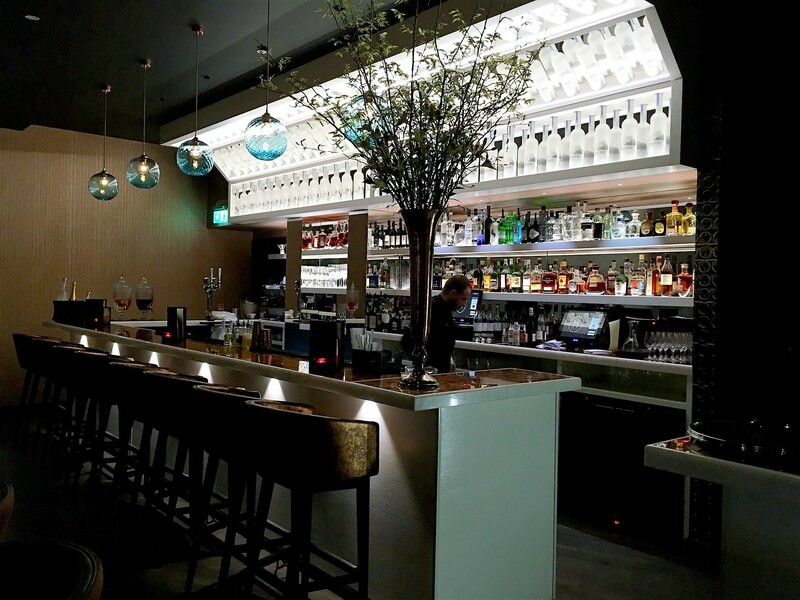 The premises of M Victoria Street combine several venues: two restaurants (M Grill and M Raw), M Bar, a private members club M Den, private dining and event areas and the M wine shop with a tasting area with enomatic machines. Sounds Mmmarvelous, doesn’t it!? Despite the overall size, all these parts are so cleverly positioned, designed and interconnected that one never feels lost or overwhelmed. Zack Charilaou is M’s wine director and winner of the Best UK Sommelier 2015 and the man who kindly gave me a tour of the various areas of M and explained the idea behind the selection of wines. You enter the venue through the wine shop. 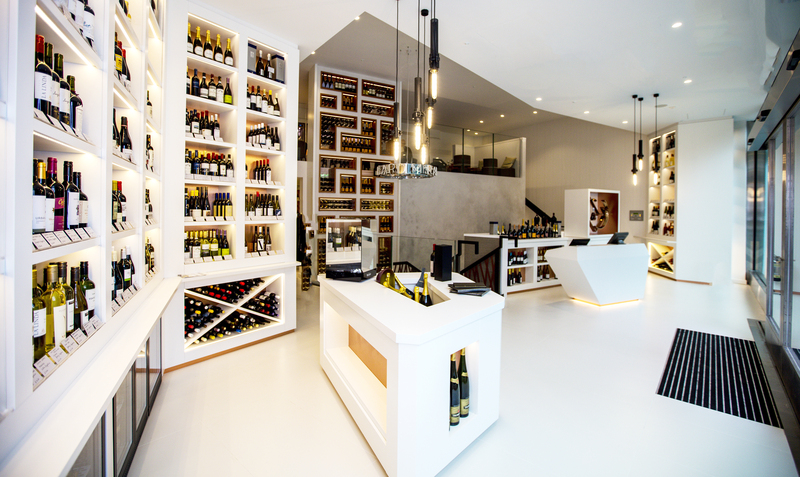 Bright and airy with double height ceilings, clear straight lines and white as the dominating colour, it is very welcoming and offers great overview of the wine range. View of the M Wine shop from the entrance. Photo courtesy of M.
The wine selection is well thought through. As M Grill specialises in steaks from six countries – Argentina, Australia, France, Italy, South Africa and the USA, these six countries also dominate the range of wines at M Wine store. This is not to say that you can’t get some of the usual crowd-pleasers from the rest of the world. Prices start at £8 and range all the way up to £1000+ for the icons like Petrus and Rotschilds. On the first floor, just above the wine store, there is a tasting area, set up as a large balcony overlooking the store, and housing enomatic machines offering three different size samples of 40 wines. 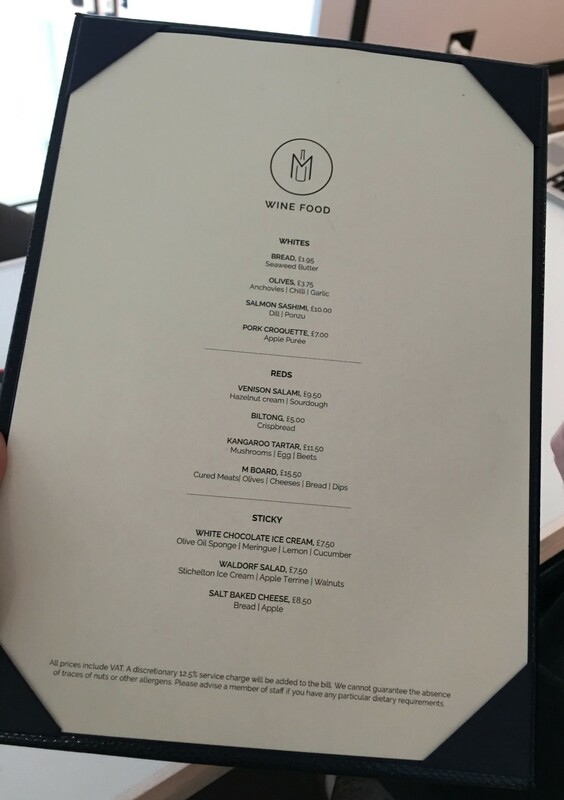 Not to get tipsy too quickly on an empty stomach, you can order bites from the specially created “wine food” menu to accompany your tasting, which I find is a brilliant idea. I can see how the tasting area can be used to meet with fellow wine-geek friends and have fun debating the wines, or simply as an after-work wind-down or a pre-dinner thing to get your taste buds started. 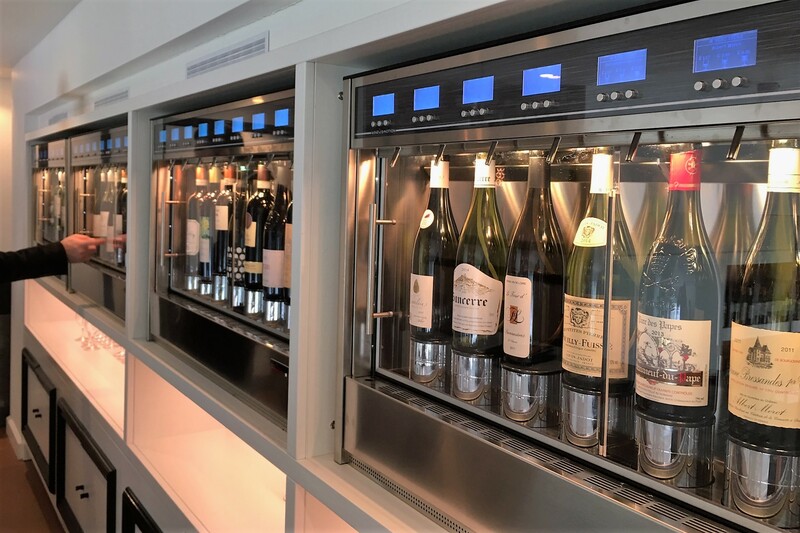 Enomatic machines on the 1st floor tasting area feature 40 wines at any time. Wine menu with small dishes to accompany your tasting experience. As you move on into the restaurant, there is opportunity to purchase a bottle you enjoyed a sample of – or any other bottle from the shop – and take it down to the restaurant against a very reasonable corkage fee from Tuesday to Friday (Mondays no corkage fee is charged at all). 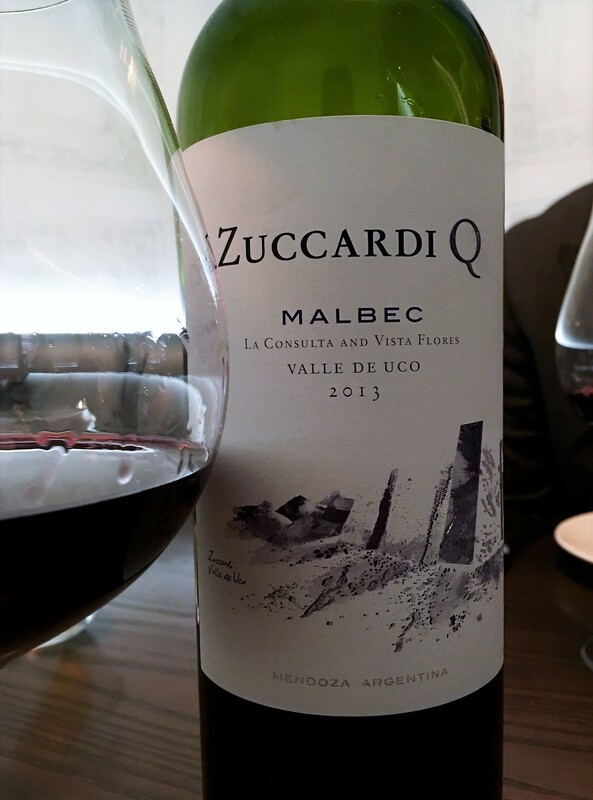 In case you are wondering, I selected a bottle of my favorite Argentinian producer, Familia Zuccardi to go with my meat feast at M Grill. As we happened to celebrate a special occasion at M Grill on the night, my husband and I were given a table in one of the dining booths. The restaurant is shaped as a theatre and the booths are somewhat an equivalent to Grand Tier, which gives more privacy, yet a perfect view over the lively common seating area in the centre of the room (i.e. stalls in a real theatre). View of the M Grill dining area from one of the booths. Photo courtesy of M.
I could now write at great length about the food. But to make a long story short, here is my verdict: The steak I had at M was the best I had in London in the past two years. Also, the mouth-watering seafood on offer is a great companion to the meat selection. While my former favourites like Barbecoa and The Bull Steak Expert have somewhat disappointed recently, M has set the bar very high again. Having said all that, I also have to note that it came with a corresponding price tag. C’est la vie, I guess…! 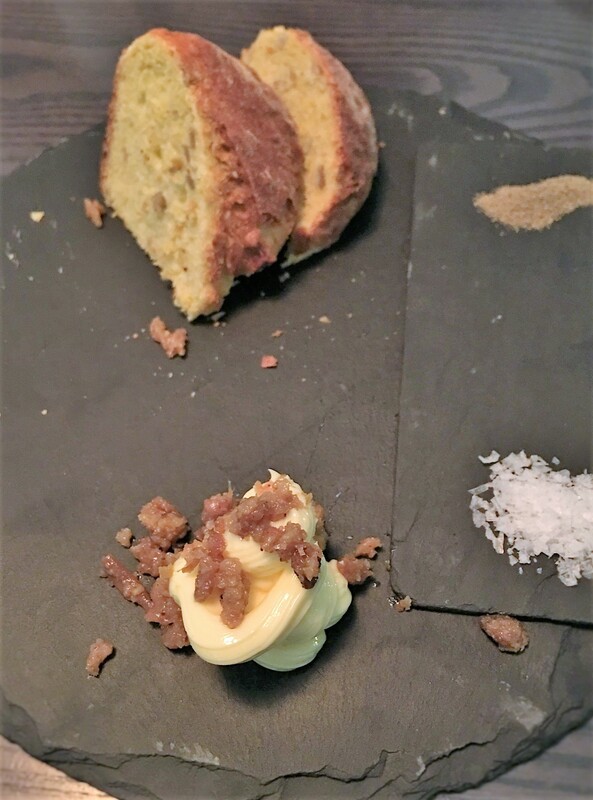 To start with: cornmeal bread served with butter whipped with chicken stock, chicken skin scratchings & salt flakes. 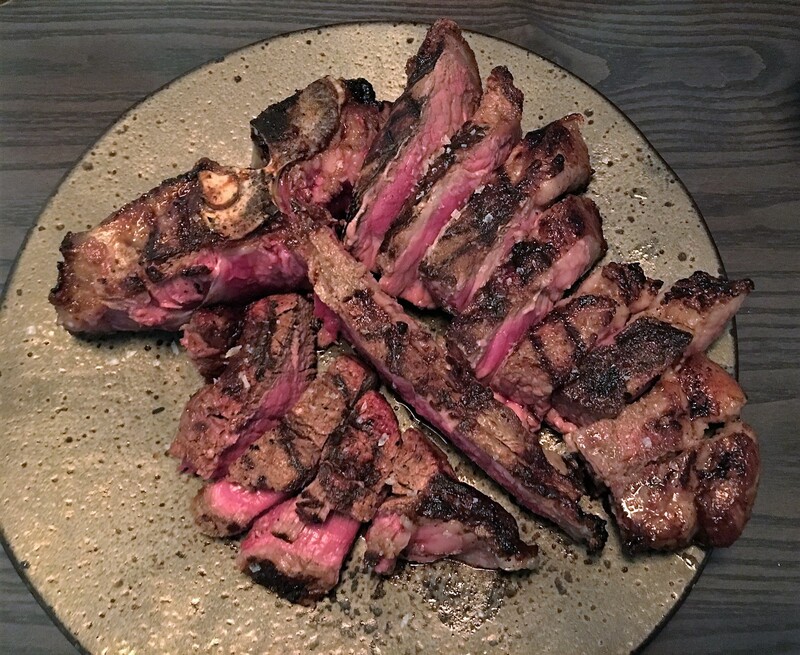 Melt-in-your-mouth USDA PRIME T-BONE for 2 (800g). Beautifully cooked cut. Stunning example of Malbec, very masculine with full body and firm tannins, perfect accompaniment to the steak. We finished our night at the M Bar sipping on an M Martini and a Woodford Reserve whiskey, served by very friendly barman. M Bar, a place to chill, socialise and enjoy a sip or two of your favorite drink. 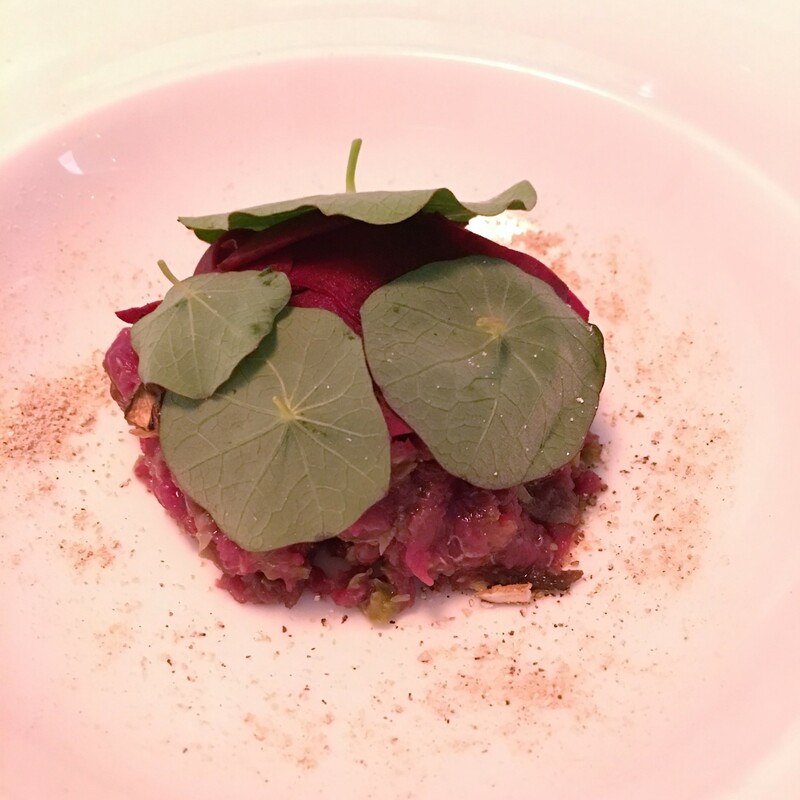 To conclude, as long as the quality of food, wine and service remains as exceptional as during my first visit, M can certainly count on me returning to explore M Raw and to continue the journey through the other five countries on the M map. Previous PostOld World vs. New World – Jancis Robinson & Oz Clarke battle it outNext PostPoll: Wine related videos – yay or nay?